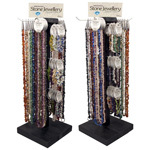 This versatile must have jewellery item is made from natural semi-precious stone gem chips. 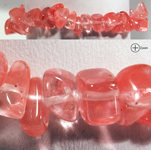 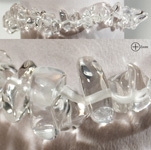 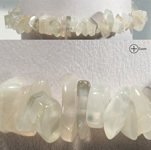 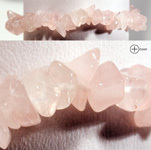 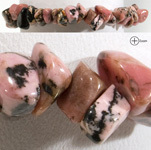 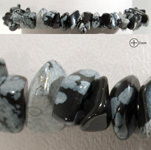 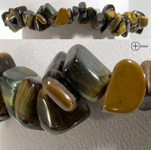 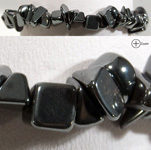 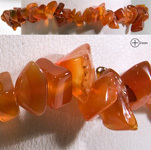 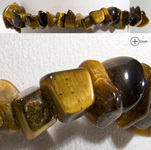 This style may appeal to men or women and is available in a multitude of stones. 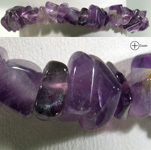 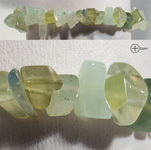 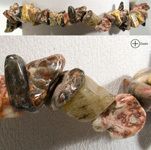 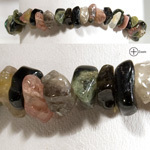 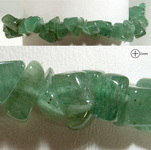 Every Bracelet comes on a hang tag which lists the stone type and a unique healing property. 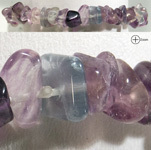 These bracelets are easy to mix and match and are made with stretch cord for an easy fit. 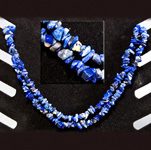 The most important mineral component of lapis is lazurite. 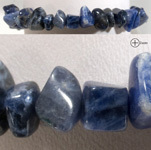 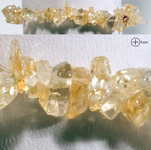 A number of other minerals may be contained within the stone such as calcite, pyrite and sodalite. 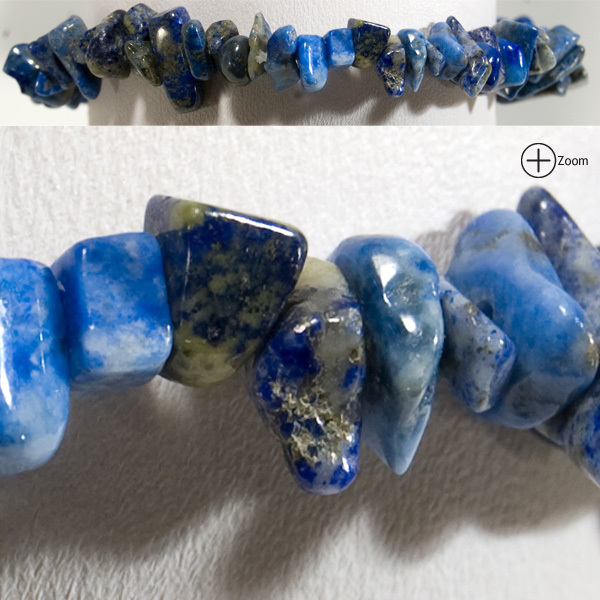 Ground lapis was the secret of the blue in ultramarine, the pigment which painters used to paint the sea and the sky until the nineteenth century. 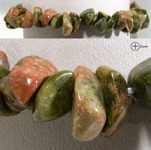 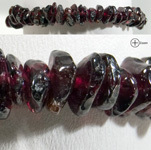 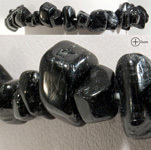 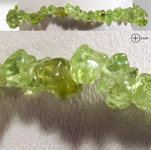 Used by some as a protective stone, it is said to be grounding with a strong connection to the earth and spirits of nature.